Thank you for requesting a Catalog – Now the fun part! Thank you for sharing your information with us. We’re excited to serve you and show you what we have to offer. 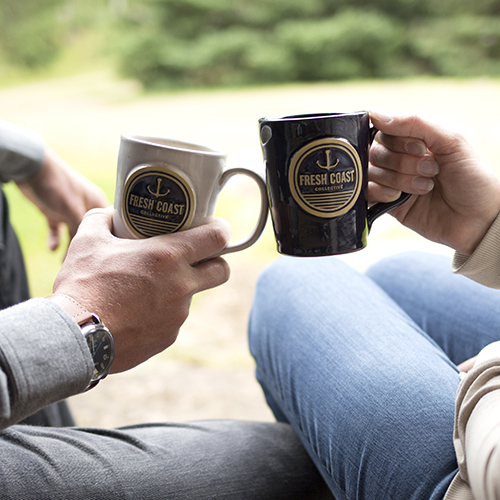 We’re convinced that your customers will absolutely love your one-of-a-kind mugs, handmade in U.S.
As a gift, and to help you better choose what you want your mugs to look like – we’d like to give you a sampler pack with a variety of our mugs that we’ve made previously and let the styles and shapes guide you to your ideal! Please fill out the information below and we’ll ship a unique sampler pack to you, based on your preferences.